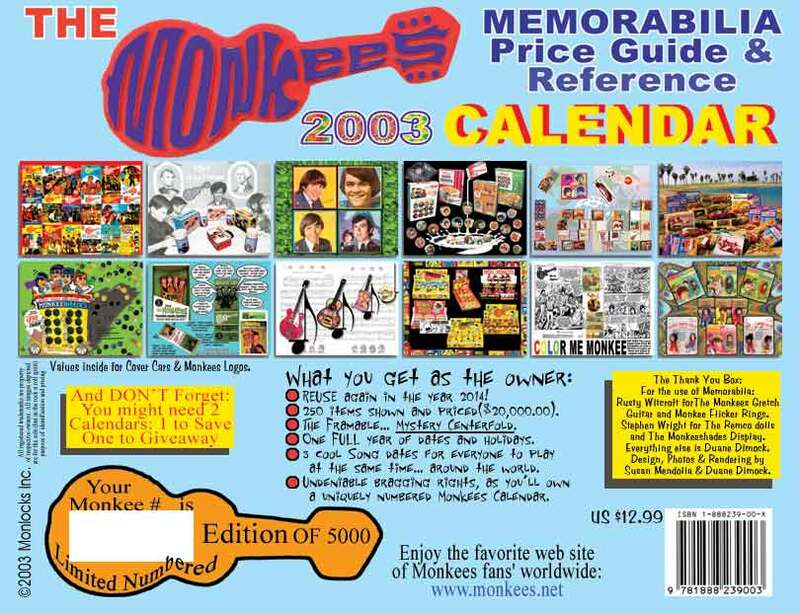 A whole year of MonkeeMania for your wall! This collectable 28 page All Color Monkees Calendar which includes 12 whole months and 365 days, including the bonus Monkeedays. Each month features a full color photo of Monkees collectable treasures in mint condition. Spot the ones you own...and the ones you are going to own! This exciting professionally printed and bound calendar will be the talk of your work-place or home with colorful Monkees fun all year long. The size is 8.5 by 11 inches closed, 17 by 11 inches opened. Plus you get the birthdays of all of the Monkees and their offspring, special days in Monkee history, plenty of room to write in your own special days, and the estimated pricing list for the items pictured. And all for less than $1 per month! From "Sally Carpenter" Hi Brad, Got the Monkees calendar today. It looks really super! Very professional and colorful. I'll enjoy looking at it all through next year. From Jeff Gehringer Brad Great work. Not only do you display many of the classic merchandise items from the 60's, but you've also included many of the toys from the 90's. Super color, great information on important dates in Monkee history. This is a real fan oriented calendar. Thanks again! From Donna Hi Brad. I did receive the calendar and I like it very much. I love the pics of all the collectibles, although it makes me want all the things I don't own. All of the little trivia throughout is fun too. I like the song dates, those are fun. I would definitely recommend it to anyone and hope you continue to make these in the years to come. I would certainly get one every year. Thanks so much for the excellent service and the great calendar. From Ccstone Hi , yes I did receive it, I love it. It's great to have to hang up all year. I hope there will be another one like it in the following years to come! I enjoy looking at all the collectible things I wish I had!!! Thanks Brad! REUSE again in the year 2014! Sealed shrink wrap in mint condition, stock up now. 250 Monkees items displayed and priced - a total value of $20,000.00! The Special Full Color Double Sized Mystery Centerfold Poster - suitable for framing! One FULL year of dates and holidays! Special Monkees Coloring month - your calendar can be a unique work of art! Crayons not included. 3 cool Song Dates for everyone to play the same Monkees song at the same time... AROUND THE WORLD! 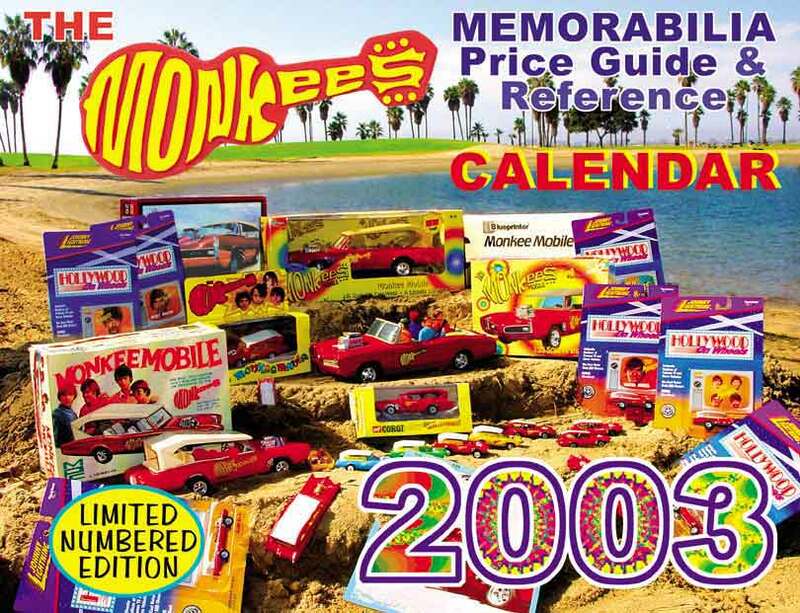 Undeniable bragging rights, as you�ll own a uniquely numbered Monkees Calendar! You get a UNIQUE MONKEES NUMBER! You will have Fun in No Time! You�ll FLIP for this collectable All Color Monkees Calendar! 2 SEALED Monkees Calendars Buddy Pack includes SEALED Monkees Music Video Interview CD-ROM! Save $1 plus free bonus! Canada shipping is $4 for any number of items. Overseas shipping is $5 for any number of items. Calendars start shipping now! All shipments fully insured, shipped in a rigid cardboard mailer. Your item will be carefully packed and shipped US Postal Service Mail with a computer bar-coded label to help speed it through the automated systems at the USPS. We also check your address for validity to ensure accurate and timely delivery. Contact us if you would like to use Priority Mail, UPS or Fedex for an extra fee. We reserve the right to hold checks until they clear. All registered trademarks are property of respective owners. All images depicted are for the sole (but in the rock-n-roll spirit) purpose of identification and pricing. 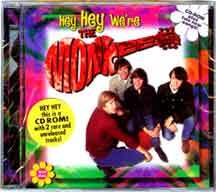 Click Here to Buy Monkees CD's, Books, Videos and T-Shirts! All contents copyright � 1994-2007 by Monkees.Net. All Rights Reserved.